Thanksgiving Jam featuring: Upsidedown & Backwards! 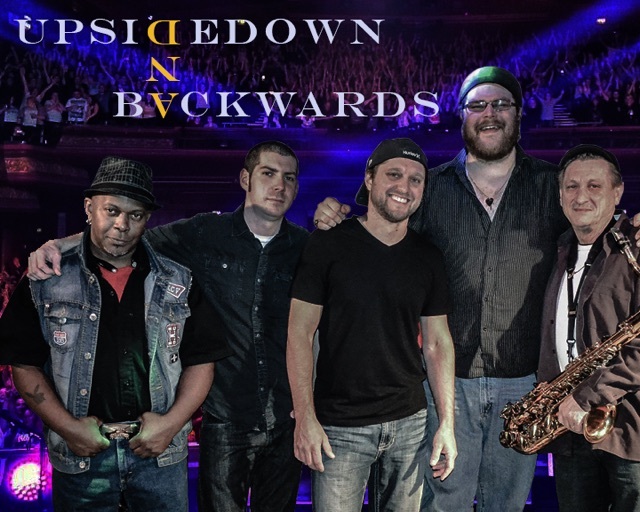 NWI’s new Blues, Funk and Soul, Upsidedown & Backwards return to Beer Geeks Thursday, November 22nd! Upsidedown & Backwards was formed in 2013 by Derek Caruso, Ryan Frahm, Lou Terry, and Matt Novatney. Striving to be Northwest Indiana’s pre-eminent, entertaining Blues,Funk,and Soul band the region has ever seen, by performing all over the area from Wrigleyville in Chicago to the Red, White, and Brew Fest at Shoreline Brewery in Michigan City, Indiana to Czars 505 Club in St, Joe Michigan. We gain our inspiration from local heroes such as The Kinsey Report, The Steepwater Band, Jimmie J and The Harddrive band, Green Room Rockers, and as far back as Shuddup & Drive. Check our website at www.upsideandback.com or at www.Facebook.com/UpsidedownandBackwards. Only $5 cover at the door!